Adrak is also called ginger. Each ginger plant can grow up to three feet high and produce 2-5 sections of ginger, which can be harvested year-round. 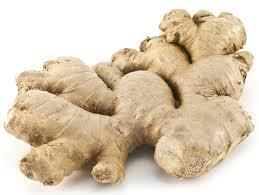 After a ginger root is broken off from the main plant it is washed and dried in the sun. Once dried, it can be used for cooking or medicinal purposes.